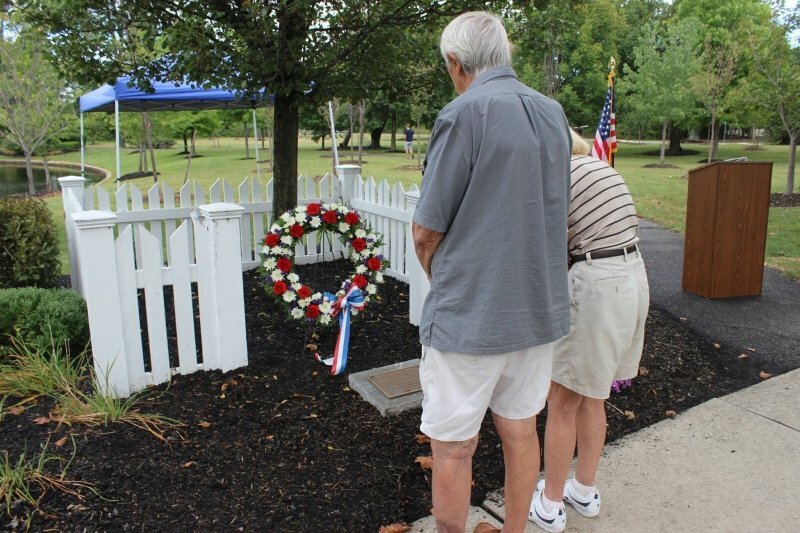 The Robbinsville Fire Division placed a fresh wreath Friday at the plaque honoring Pamela Gaff, a Robbinsville Township resident killed on September 11, 2001. 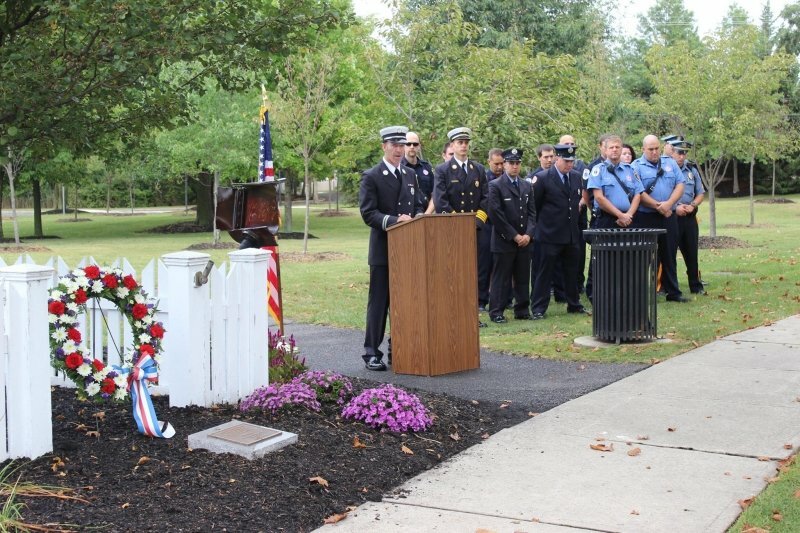 Alongside a mounted piece of steel from one of the fallen towers, Captain Eric Eitel and Chief Dan Schaffener, along with other distinguished members of the department, then read the names of 343 firefighters who perished that fateful day. 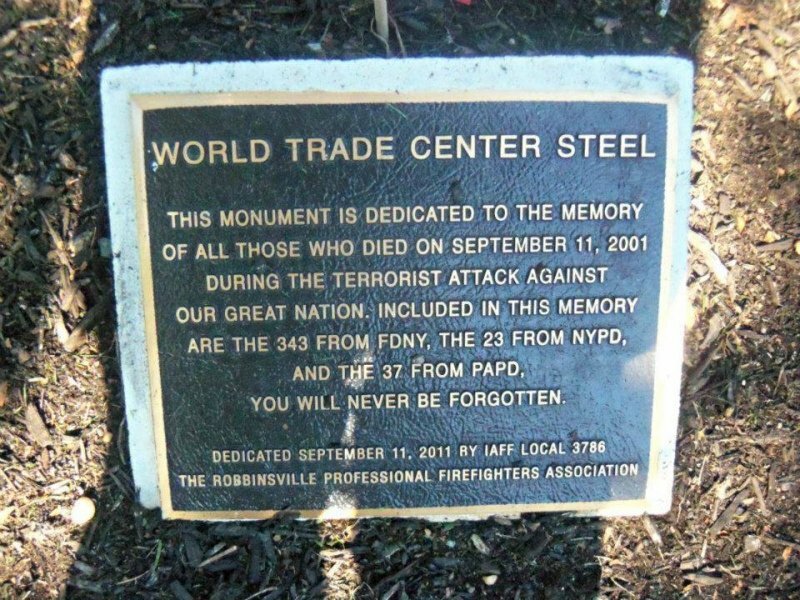 Another 100 plus firefighters have died since 9/11 due to illnesses and other health complications resulting from the search and recovery effort at Gound Zero. Mrs. Gaff, 51, was an employee of the Aon Corp. in the World Trade Center. Thank you to everyone who took the time to remember today.